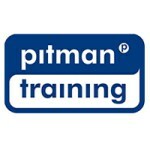 The Pitman Training Network+ course is designed to give you all the knowledge and skills you need to get a job as a network or system administrator. But more importantly, it will give you the necessary skills and knowledge you need to gain Network+ certification which is ranked as one of the most in-demand networking skills. Youll learn how to install, operate and configure basic network infrastructures, together with all the essential skills youll need to manage and maintain systems and troubleshoot any problems on a day to day basis. Whats more, as speaking the right IT language is essential in this industry; youll learn how to describe networking technologies, together with gaining a basic understanding of design principles. Within the framework of the Network+ Certification course, youll learn so much more than just the theory. This course is designed to get you ready for the real-world and help you launch or enhance a career as a network or system administrator.